Jaguar Colorado Springs currently has this sleek 2017 Jaguar XE 35t R-Sport AWD available in our inventory. This four-door sedan, a previous service loaner, gets an estimated 20 MPG city/29 MPG highway with its powerful 3.0L V6 24V supercharged engine. This is paired with an efficient 8-speed automatic transmission. The best part is it has less than 6,000 miles and is priced at less than $54,000! Also included is the Comfort and Convenience Package. This includes an electric rear window sun-blind and heated rear seats. Other features such as a blind spot sensor, navigation system, SiriusXM Radio, and more are also on this luxury sedan. Because this vehicle is Approved Certified PreOwned, you get the reassurance of a 6 year/100,000 limited warranty, 24/7 roadside assistance, trip-interruption services, rental car benefits, and a vehicle history report. 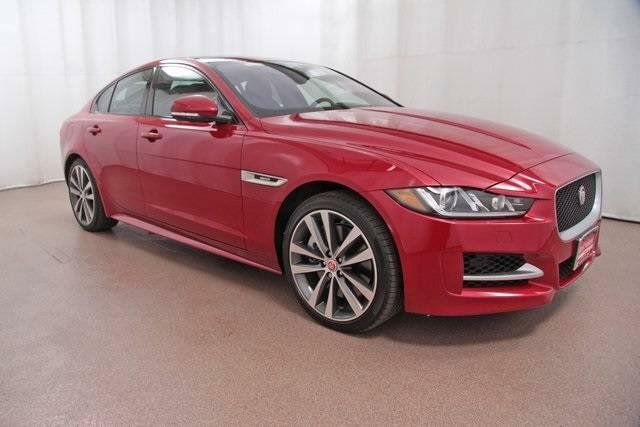 So stop into Jaguar Colorado Springs today to take a test drive of this Jaguar XE! With the power, features, and great deal available on this CPO vehicle, we know you will be eager to drive home in it today! We also have many other quality pre-owned vehicles. Let us help you find the right one for you.